Handbags for most ladies are not just a dump-bag or carrying pouch for personal belongings. Many flaunt it for self-expression, some display their wealth while for others, it acts like a status symbol accessory to express their individuality. The more unique and limited the handbag, higher is its retail value. Actress Jane Birkin’s belongings crashed from her straw bag and the Hermes CEO was present at the venue by chance. He through of creating a more sturdy, unique and fashionable handbag with a convenient designs. Today Hermes Birkins handbags are the most recognizable luxury brands in demand. This blue Hermes Birkin handbag with white gold and 18-karat diamonds fetched £125,000 during the first Christie’s handbag sale in London, smashing all European records. The long official name of the handbag aside, this Hermes Birkin Bag’s diamond and 18K White Gold hardware, probably explains why this handbag remains among the priciest handbags. This red bag broke records when sold at public auction at Dallas, Texas, with it’s $203,150 winning bid. Hermes Birkin seems to be in some sort of a competition among themselves for the priciest handbags sold. The Fuchsia-colored bag with diamonds and 18-carat white gold dazzles and managed to fetch a mean price of $1.72 million HK dollars during a Christie’s auction at Hong Kong in 2015. This Chanel’s handbag is simply elegant with it’s iconic Chanel logo, it does stand out from the crowd. 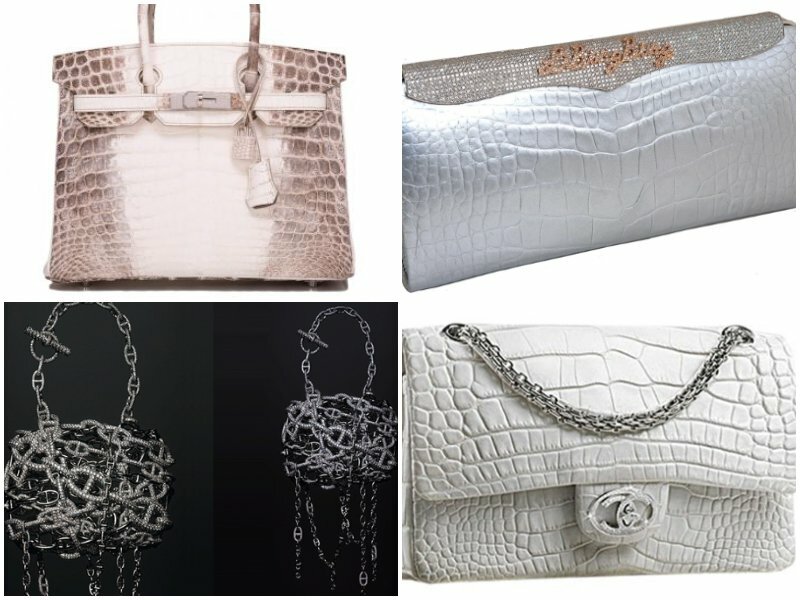 This bag is made of premium crocodile leather with 334, 3.56 carats diamonds set in white gold. It’s strap is a detachable gold chain worth 18-karat. Materials aside, only 13 pieces of these bad boys were ever created. Singer Madonna once sold this bag to raise money for charity. 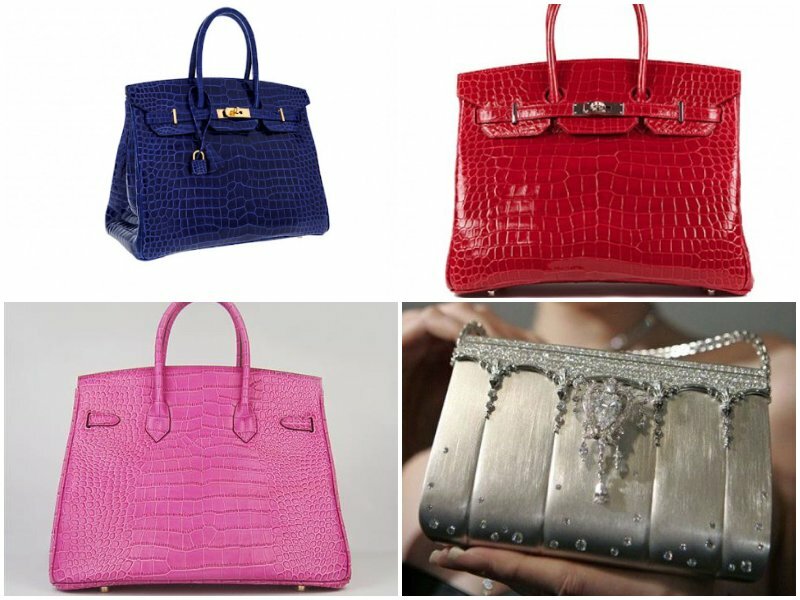 Himalaya Birkin bags are universally known to be expensive as these are crafted from Nile crocodiles, with it’s dyeing process taking hours to lighten the color of the material. Here’s something you probably didn’t know, the more subtle the coloration, the more difficult it is to craft the bag. The Niloticus Crocodile Birkin evokes images of the imposing Himalayas, with rich browns from the soil and the snow-capped white tops. Add a few diamonds and we get the most costliest bags ever seen. These bags have more than 240 diamonds set in a 18-karat gold shell, which was sold at a Hong Kong Christies auction in 2016. Celebrities strutting on the red carpet favor the Lana Marks’ Cleopatra Clutch handbag with costs going between $100,000 and $400,000. Each year has a few new Cleopatra Clutches, each varying in design and color. Li Bingbing, a Chinese singer and actress owns this Cleopatra Clutch designed from American alligator leather by Lana Marks, with 1,600 encrusted white diamonds (40 karats), to match a gown she once wore, with pink gold and pink diamonds used to inscribe her name. These Chaine d’ Ancre bags carry an intricate, almost prison-like design due to the chain links, which have encrusted in them, a mind boggling 1,160 diamonds. 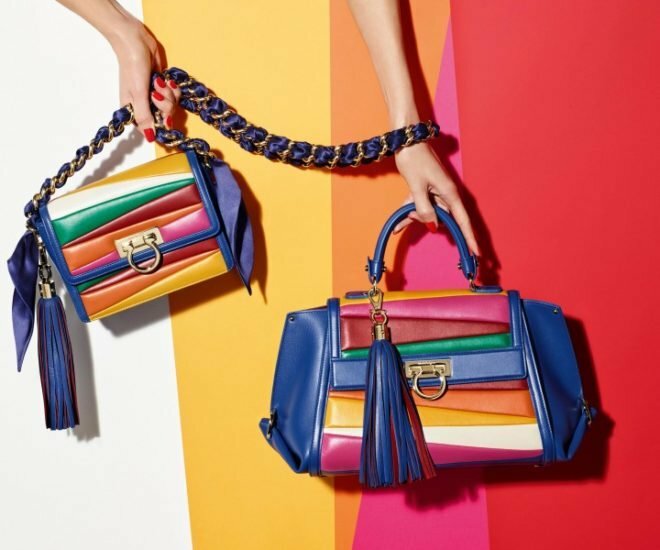 The excessive price is not only because expensive materials are used to make it, but also because it is a collectible designed by Pierre Hardy – only three were ever created. This Birkin handbag with removable parts can help to accessorize yourself. Ginza Tanaka, a Japanese designer, fashioned this handbag from platinum with 2,000 diamonds on the outer shell with an 8-karat pear-shaped stone centerpiece, which is detachable and worn as a brooch. Should you forget to bring a necklace or bracelet, detach the diamond sling to impress anyone and everyone with your blinding bling. With this item, you can forego wearing a bracelet to parties. Crafted out of solid rose gold to look like crocodile leather, this stunning, luxuriously small bag was designed jeweler Pierce Hardy in collaboration with Hermes. 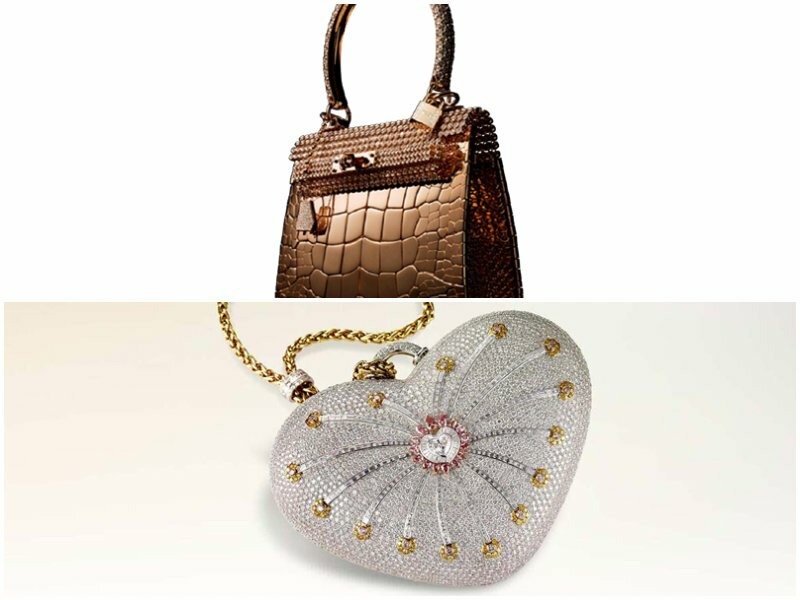 With 1,160 diamonds each, only 12 such bags in three variants were crafted. Think twice before you purchase it as it stores only a few credit cards and limited dollars. This remains the priciest handbag on the globe since 2011. The Emirati company handcrafted this heart-shaped, 18-karat gold handbag, with artisans dedicating 8,800 hours’ work with a total of 4,517 diamonds (4,356 colorless, 105 yellows, 56 pinks). This one-of-a-kind luxury item was revealed for sale at Hong Kong Christie’s auction preview in 2017.